Langtang and Helambu Region lies north of Kathmandu Valley which offers varieties of trekking options lasting a week to 18 days . The region is close by and is accessible by few hours drive from Kathmandu. This region is likely to be the third popular trekking destinations in Nepal after Annapurna and Everest regions. The Tamang Heritage Trail, Langtang Valley, the sacred alpine lakes of Gosainkunda and the rolling Sherpa farmland of Helambu can be mix matched to bring out a perfect trek to the best of your need and fitness. This trek is surprisingly underrated and fairly uncrowded probably because it doesn’t have higher mountains above 8000 meters. This region is rich in culture, tradition and lifestyle of local communities and one may stay in local houses as paying guests and experience the rural Nepalese lifestyle closely. 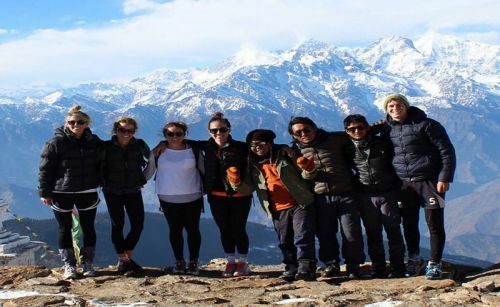 Langtang and Helambu region treks offer the combined beauty of local culture and tradition with striking panoramic views of the Himalayas, tranquil lakes and alpine meadows, amazing sunsets and challenging passes. These treks are however fairly easier than that of Everest and Annapurna, stays fairly low avoiding altitude hassles, easily accessible and no flights required and quieter for those who love to enjoy their solitude while trekking.